DP Interface recently had the opportunity to take some sample photos (including a bunch of high ISO shots) using the newly launched Olympus PEN E-PL1 and have been given the green light to share them with readers (but first, read this disclaimer: photos were taken using a PRE-production unit of the camera so image quality is not final). UPDATE: We’ve been told to replace full-sized photos with extremely reduced size/resolution photos seeing that photos were taken using an Olympus PEN E-PL1 with beta firmware. However, taking into account the interest of our readers and other factors, I have opted to wait for a retail/production camera instead before posting photos. Rest assured a completely new photo gallery with new images from a production-level camera will be posted in the future once I get a production-level camera for review. Meanwhile, check out our Olympus PEN E-PL1 preview for our initial hands-on with the camera. Brad: I *still* would like to extend my thanks to Olympus and co for giving us the opportunity to try out the camera! All photos were taken at full resolution, Fine quality, 4:3 aspect ratio, optical image stabilization on and using the camera’s default settings unless otherwise noted. The lens used was the Olympus Micro Zuiko 17 mm f2.8 pancake lens. Lens focal lengths stated below are 35 mm equivalent, after factoring in the PEN E-PL1’s Micro Four Thirds 2.0X sensor crop multiplier. Photos were taken using a pre-production Olympus E-PL1 model and image quality is subject to change. For that reason, you probably should wait until our full, final review comes out before judging the PEN E-PL1. I’ll be reshooting all gallery sample photos once I get my hands on a 100% finalized, retail version of the Olympus PEN E-PL1. 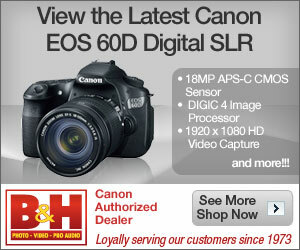 Notice: Photos from any photo gallery on the site are only for personal use to assist you in choosing a digital camera. You may save and print them out for personal use only (ie. to see if image quality meets your expectations). You may not post these photos anywhere for any use whatsoever, including but not limited to, any website, newsletter, magazine, print, book or online/offline in any method without prior consent. Hotlinking is not allowed. These photos are property of and copyright DPInterface, its site and webmaster. I’m not trying to be mean or anything – I’m just preserving my copyright and hard work to take these photos. If you really want to use test or camera view photos from DPInterface.com, please e-mail me and ask for permission.